The wedding season is in full swing and it’s time to start looking for a dress. 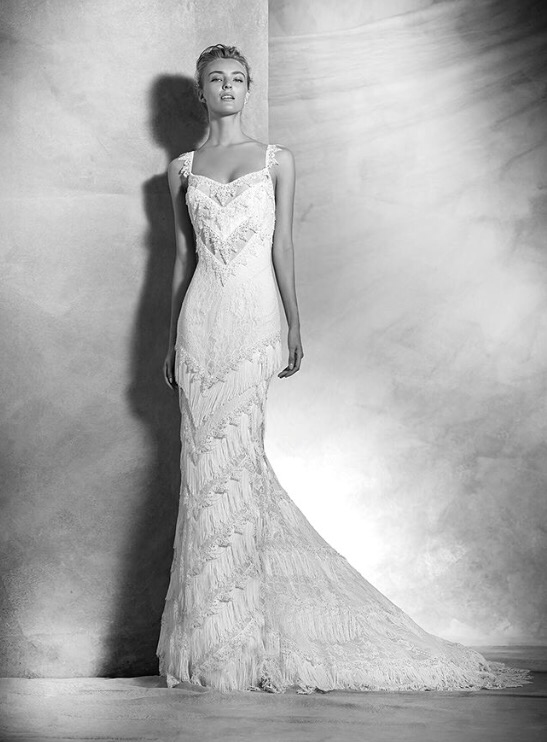 If you have a decent size budget for the dress and want something a little different look no further than Pronovias. 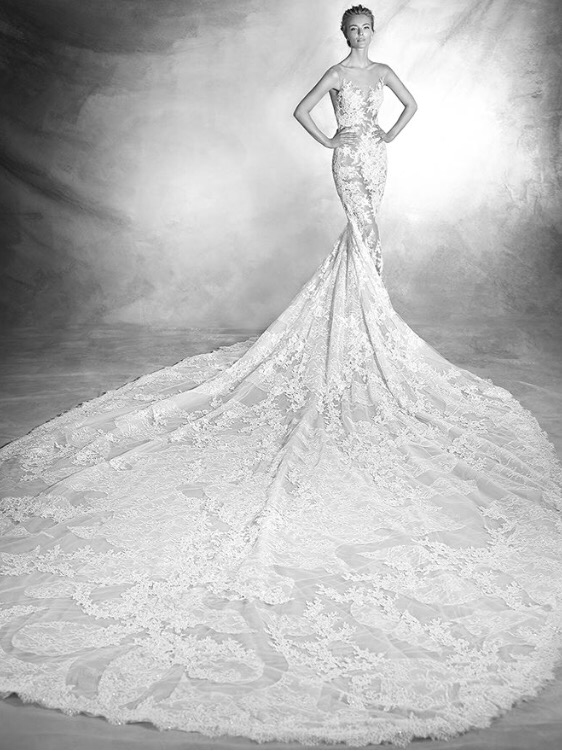 The Atelier Pronovias collection is exquisite with use of delicate fabrics and unique fits. Take for example this Verda dress with the extra long train. You can not say you see this everyday at a bridal salon. The beautifully hand crafted gown has sheer illusion panels using Chantilly lace, French lace and gemstone embroidery appliques. This is just a showstopper of a dress. Every single dress from the collection has something unique about them that stands them apart from other brands. To top it off they now have a beautiful flagship store in London on New Bond Street where you can see the collection in all its glory. If however you are not in London pop to the website where they will show you where your nearest boutique or stockist is.